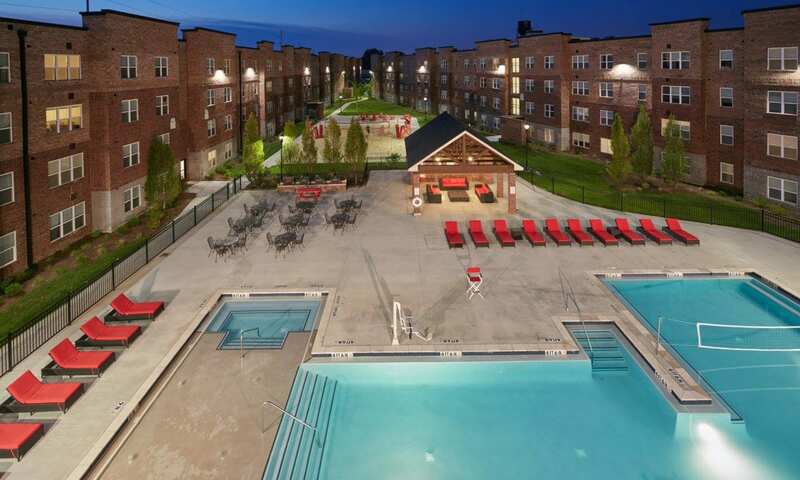 Trifecta Apartments offers fully renovated two and three bedroom and new one bedroom off-campus apartment options in Louisville, Kentucky. 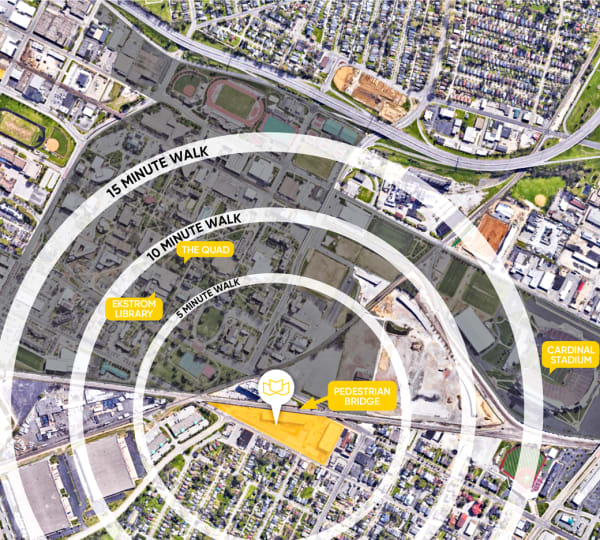 With premium finishes, a variety of high-end amenities, and a private pedestrian bridge offering a short walk to the University of Louisville campus, our unique community is designed for fun and convenience. With all the benefits of campus life just beyond your door, from the best in eating and shopping to awesome football at Cardinal Stadium, you’ll never have to go far for the good things in life. 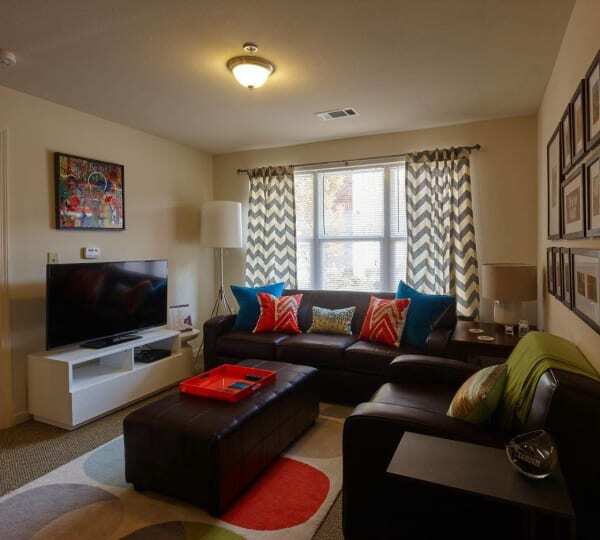 Trifecta Apartments is the place to be – see for yourself. 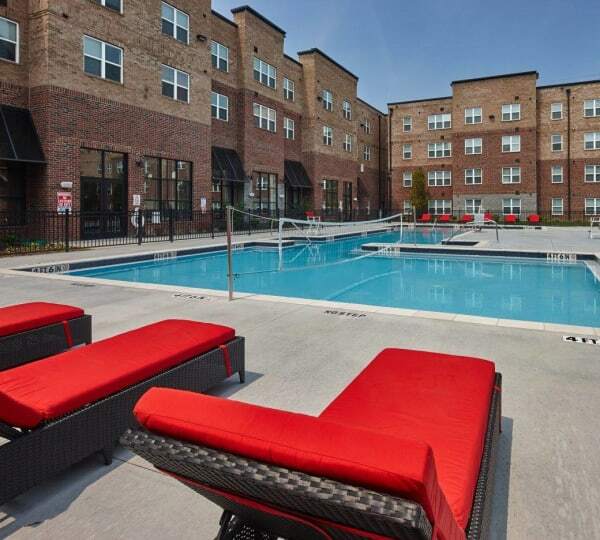 To learn more about life at Trifecta Apartments, check out our Photos page. Each pet-friendly apartment features sophisticated touches like granite countertops, custom cabinetry, and wood-style flooring. Upscale features like soundproof walls, gated electronic entry, and high-speed internet make it easy to focus when it’s time to study. 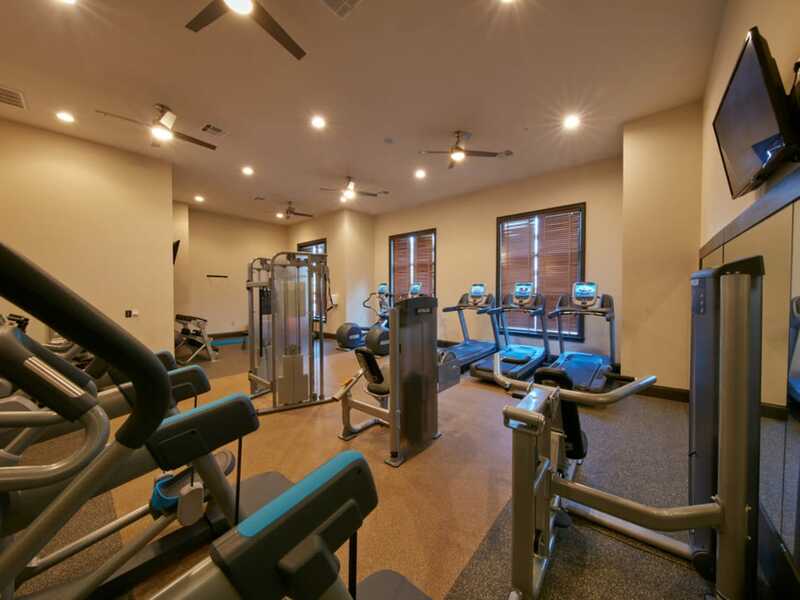 And when your homework is done, you’ll love unwinding between classes with a dip in our shimmering resort-style swimming pool, working out in our state-of-the-art fitness center, and hang out with friends in the community lounges. This place has it all — and it’s move-in ready. Call today to set up your custom tour.